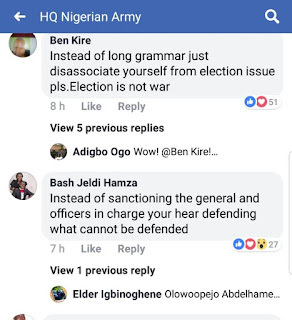 Nigerians on Tuesday expressed misgivings on the Facebook page of Nigerian Army over anti-Rivers Press Release. They lambasted the army for allowing themselves to be degraded and reduced from the revered respect accorded by society. 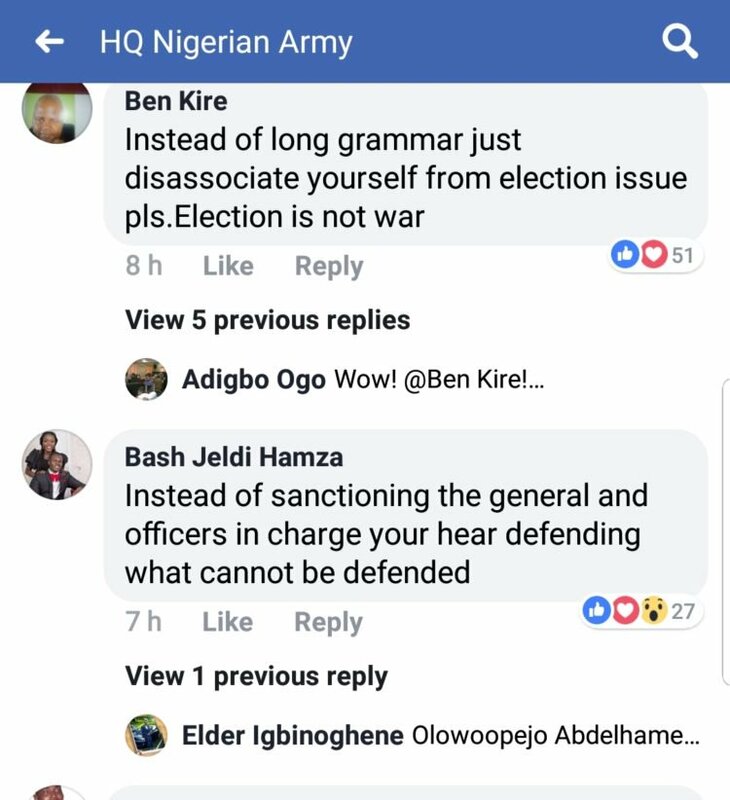 “Following the true picture of what happened in Akuku-Toru during the Presidential election and also what happened in the past election, it is in regret that I will say our soldiers have been reduced to Isakkaba Boys and have lost great confidence of the people, ” he asserted. “By the way, how come the injured soldiers have now become your officers? You previously said the men on military uniform that humiliated and killed Rivers people were thugs,” he queried.